I imagine that most Americans can relate to the feelings evoked when approaching a stop signal and seeing a person holding a sign that reads “work for food” or “homeless and broke.” We have compassion for the plight of the individual, yet we are also skeptical enough to question whether their situation is really so dire. And even if we are convinced that indeed this person has no other means of support, we still feel overwhelmed by two factors; first, we cannot possibly help every person holding a sign on the corner and second, if we give them a dollar today they will still need another dollar tomorrow. How can we give them what they really need: a means to support themselves. I have just returned from my first trip to Africa where I was privileged to visit several projects administered by Heifer International. 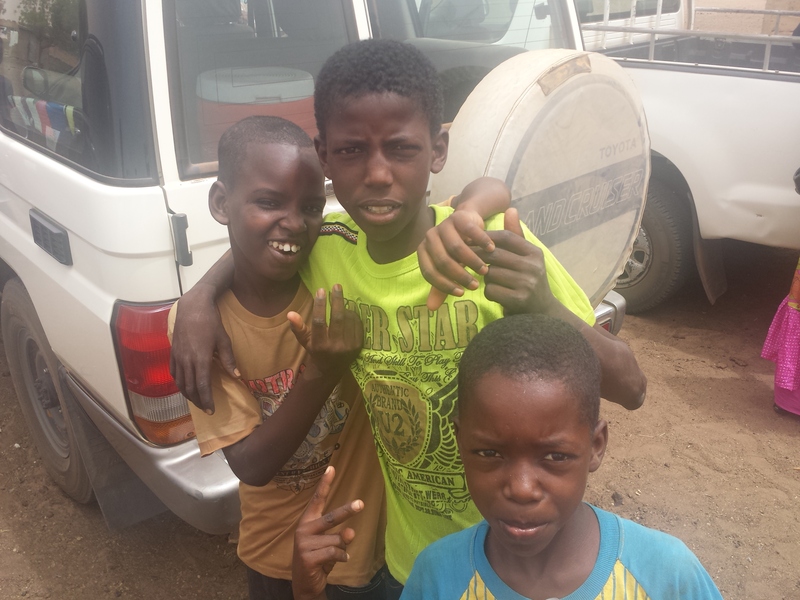 As one who travels often, I have had many transformative experiences, but my trip to Senegal exceeded my expectatio ns. Witnessing the dichotomy of a people so hopeful, joyful, and hard working, and the stark limitations of their resources and opportunities was humbling and inspiring. Also, while I have known of Heifer’s work for some time, witnessing it on the ground level was impressive. I know of no other organization on earth that more clearly embodies the concept of “teaching men to fish” so that they will be fed for a lifetime. Where we sit inside our vehicle wondering how to help that person on the corner, Heifer shows us a way to help. Some background: Heifer International is a nonprofit global organization that works to eradicate poverty and world hunger in the poorest parts of the world by giving livestock to individuals or communities, and teaching them how to manage the animals, and use them for food and an income. Along with the livestock, the organization teaches multiple principles of sustainability so that its work does not simply alleviate problems, but creates systems that empower people to be self-sufficient. With the gift of two goats, a cow, bees, or a camel, families and communities are able to sustain themselves and improve their communities. As an educator, I was also familiar with Heifer’s resources for schools. I knew it offered curriculum on sustainability and global issues for teachers and organized experiential camps for students. I also knew its work was well respected and supported by multiple prestigious organizations such as the Bill & Melinda Gates Foundation. Still I did not expect how deeply their work would resonate. I arrived in Dakar, the capital of Senegal, on May 24 late in the evening. Early the next morning I began my six-day journey to tour many of the villages where Heifer works. My companions were Elizabeth Bintliff, Vice President of the Africa Area Program, Rashid Sesay, Regional Director – West Africa, Dr. Humphrey Taboh, Cameroon Country Director, and Gustave Gaye, Interim Senegal Country Director. 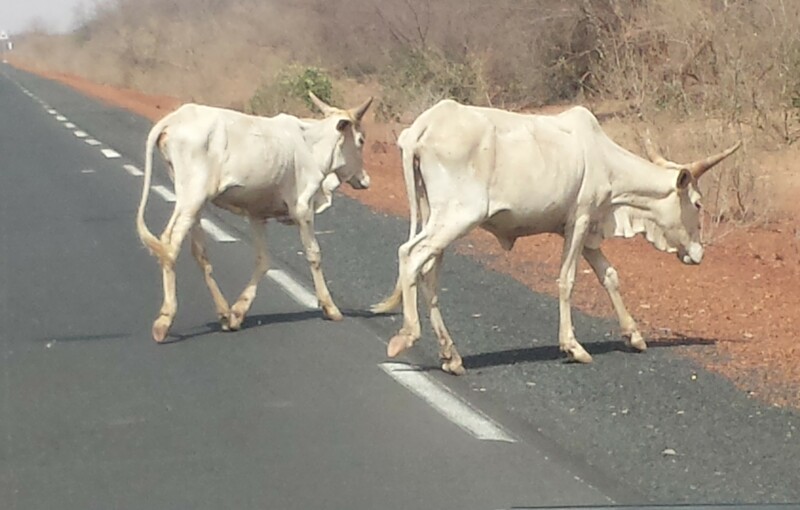 I was struck by a number of realities in Senegal. Resources and work are scarce. The population is young, with many children working rather than attending school; school in fact is not compulsory. Upon adulthood, men often migrate to other areas for work, leaving their wives to tend to their families. Unfinished construction projects are common as structures or homes are built over a period of decades, as funds are available. Livestock roam freely. Horse or donkey drawn carriages are also common, often used as taxis with young men driving them. I was reminded of Abraham Maslow’s hierarchy of needs, and for many here, they live at the most basic biological and physiological stage. 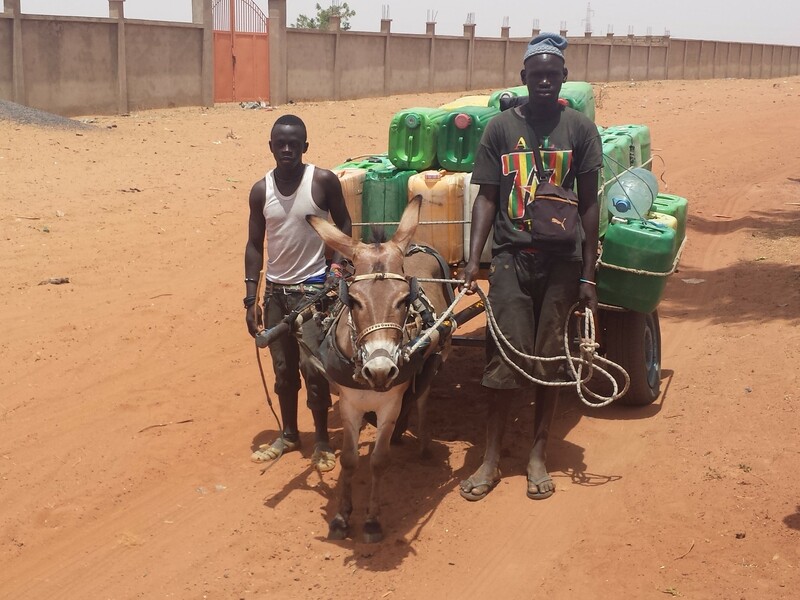 Luxuries in Senegal are being able to send your children to school, or a woman who can heat food with gas instead of spending four hours looking for firewood in an arid landscape, or a village who can leverage bio fuel for electricity to support their hospital. Heifer’s emphasis on bio fuel projects, is fascinating, life changing, and an excellent example of green energy. According to a U.S. Central Intelligence Agency report, the median age in Senegal is around 18, with more than 63 percent of the population under the age of 24, and the average life expectancy around 60. More than 50 percent of the population is illiterate, 14 percent of children under the age of 5 are underweight, and 22 percent of children under the age of 14 must work to support their families. I was also struck by another fact. Often we hear about the unrest of nations in Africa through our western media outlets. However, all 54 fully recognized nations in Africa have been formed in their current state since 1957, making them all less than 57 years old. For some perspective, the US War Between the States occurred almost 90 years into the United States’ existence as a nation. While the people of Africa have ancient histories, their governments and nations are young and developing. Also the desires of its people are universal. They want to be able to support themselves and their families. They want their children to be fed, safe, and educated. Like children everywhere, their children want to have fun and play. As I was touring one school in Baback Ndangalma, listening to the children playing on the playground, I could close my eyes and be on any playground in the world. Despite languages, color, social status, or economic position, the sound of children laughing and playing tag and games is universally human and always a delight. 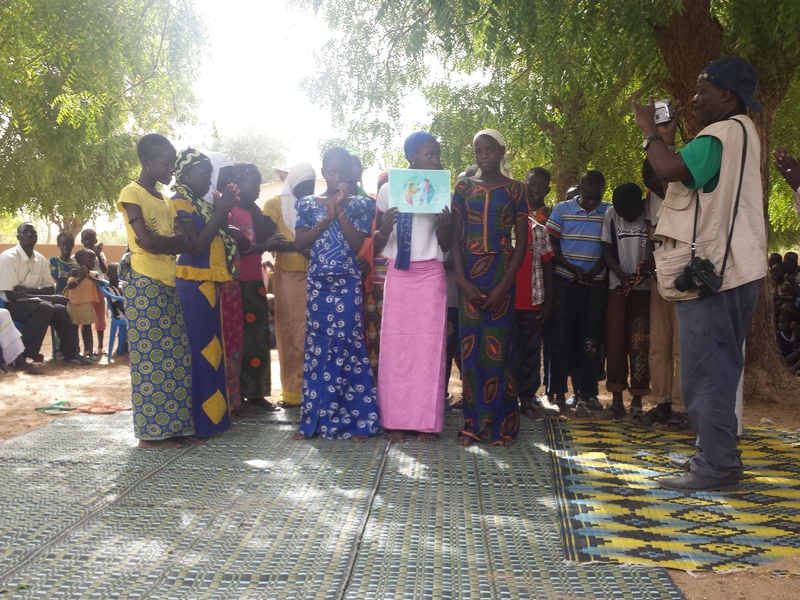 It is into this environment, and in fact the poorest villages in Senegal, that Heifer ventures into to begin change. A few facts:Heifer International which was founded in 1944, has been working with poor and vulnerable communities for 70 years. Over that time period, it has distributed livestock and resources such as cows, bees, goats, alpacas, chickens, camels, and more to 20.7 million families and 105.1 million individuals in 125 different countries. It currently operates in 12 countries in Africa. Upon approaching our first village, Loumbal Baladji, I was struck by how happy the people were to see us and how highly they esteemed Heifer’s team. 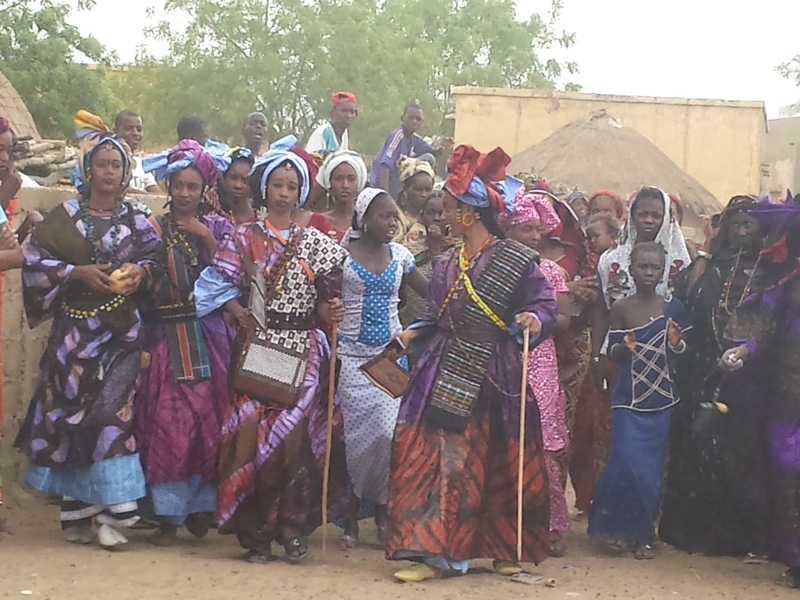 The villagers were dressed in their most beautiful and colorful clothes. Many were in ceremonial dress, with their faces painted. 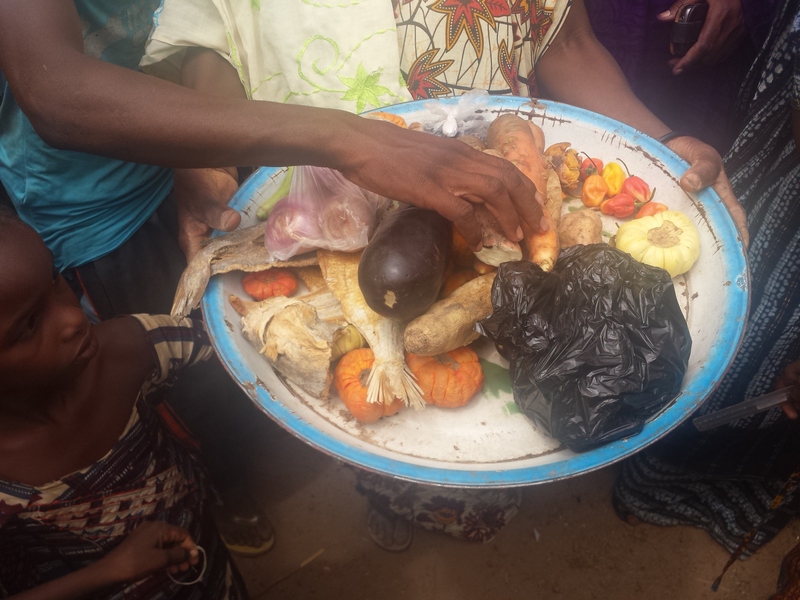 They enthusiastically presented to us what they had learned about nutrition, as well as many of the business successes they had in raising and managing their livestock. A woman, who originally was given one goat, had grown her herd to nine and said the livestock was her security. If a need arose, she now could sell a goat to pay for it. All of the participants kept detailed notes of how they cared for their goats with vaccinations, and vet visits. They kept logs detailing the selling and breeding of the goats. This is one example of Heifer’s rigorous training that encourages families to be not only self-sustaining, but also teaches them how to manage their own businesses. There are many more stories like this one and if you have time, you can view some of them on the Heifer International YouTube Channel. On another visit we encountered one of few public schools. These students were among the minority whose parents could afford to send them for an education. Along with reading, writing, math, and science, they also learned Heifer’s 12 Cornerstones of just and sustainable development. Topics include passing on the gift, being accountable, sharing and caring, animal management, nutrition and income, full participation, respect for and supporting the environment, and more. So where do American schools fit into this work that Heifer is doing? Heifer offers many avenues to become involved. First teachers can download a variety of free curriculum on the plight of the poor, how they can be self-sustaining, why helping the poor and hungry is important, and what they can do to help. 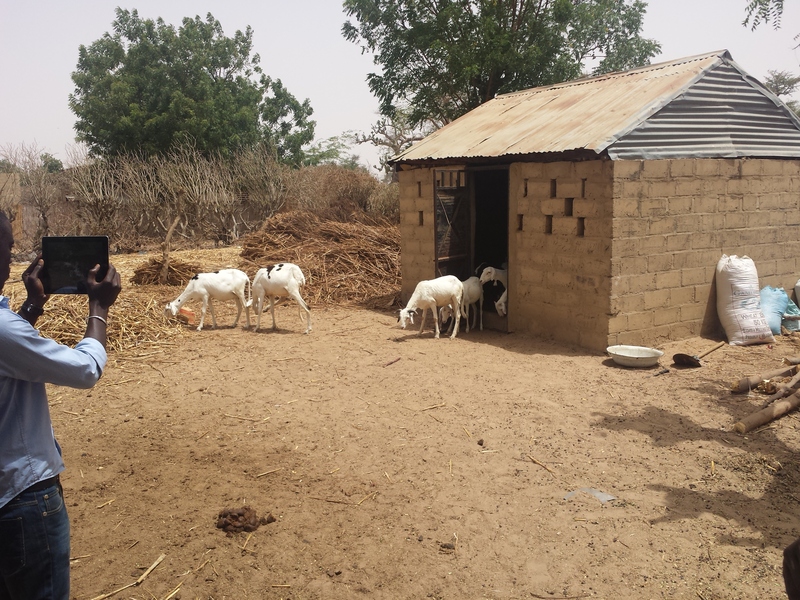 Schools can also participate in various reading and gift programs to support a goat or cow for a village or individual. Schools can also organize a field trip to one of Heifer’s three learning centers, or two partnership camps, where students can experience first-hand what it feels like to be poor in a developing country. For example, upon arriving for a stay at Heifer Farm in Rutland, MA, students are educated on the plight of poor children and families in developing countries. Then, they are assigned to different countries such as Thailand, Guatemala, Uganda, or even a refugee camp. They are each given limited supplies based on their country and must barter with other countries to get everything they need for the night. The refugee students are the worst off, they are given nothing and must beg for everything they need, and they cannot speak. The overall experience can be transforming for students, many who have never experienced real need or hunger. Hopefully, they leave with a new empathy and awareness of world problems, the desire to be part of the solution to some of these issues, and are equipped with ideas of how to take action. It is not often that I make such a suggestion, however, I encourage all schools to partner with Heifer International. Why? Because such partnerships are good for our world, but also they help our faculty and students develop cultural intelligence. The development of global competence and cultural empathy is vital for all of our students so they can understand their responsibilities as global citizens. Also faculty and staff who learn about other cultures, and are immersed in other cultures, are better equipped to teach these values and realities to their students. There are many great causes in the world, but I am not aware of one that so succinctly addresses such a vital social need while allowing for strategic partnerships with schools. Therefore, I accept the risk of sounding like an advertisement. Considering the work that we can accomplish and the work that is being done, it is worth it. I encourage everyone to take the time to get to know Heifer International and their work.